How’s this for a speaker introduction at your organization’s next meeting? Thousands of daily reports delivered to top-flight agricultural industry stakeholders. Hundreds of consulting engagements with clients up and down the agri-food value chain. Years of combined public and private sector experience. Taken together, an unprecedented track record of delivering insights into the biggest issues in U.S. and global agriculture. When a member of the WPI team speaks at your next meeting or conference – in the U.S. or overseas – that’s what you get: invaluable insights, coherently delivered to your target audience in language they understand. Regardless of your place in the value chain and the unique challenges facing your sector, WPI stands ready to assist and ensure that the limited time you have to reach stakeholders is effectively used. Your audience wants to be engaged, so WPI offers dynamic interaction with listeners, prompting them into horizontal discussion using a variety of tactics. Contact us today to book one of our expert speakers for your next event! You name it, we’ve done it. The following is a sample of subject areas that WPI’s team can speak on. We’re adept at adjusting presentation logistics to the audience, whether it’s thousands of convention attendees or a small, intimate group of listeners. While team members’ experiences overlap subject areas, we’ve assigned a basket of pertinent topics to each WPI staffer to help you find the appropriate contributor. Take a moment to read our bios below, then please contact David Gregg to discuss speaker fees, logistics, and how we can add value to your organization through the spoken word. Insider’s perspective on Washington, DC policies and politics. Futurist/trends – prophetic without the client’s tribal bias. 2018 Farm Bill: Now What? 2018 Election: Can the Tea Leaves Even be Read This Time Around? Can U.S. Agriculture Survive America First? Mr. Juday is also available to address a range of customized topics regarding livestock and meat, biofuels, and technology in the agricultural sector. A World Awash in Grain. Record World Crop Production Masks Record Consumption. Low Prices = Low Margins = Trouble in Agriculture. Big World Crops, Strong Dollar & Cheap Ocean Freight Stifle U.S. Exports. How to Use Futures & Options to Manage Risk in Volatile Markets. The Impact of Climate Change on World Crop Production. Global oilseed supply and demand. Impact of China on global soybean sector. Growth in Asian demand, including from the aquaculture sector, for oilseeds and co-products. Opportunities for U.S. agricultural export promotion domestically and overseas. Setting goals and measuring performance in domestic and overseas agriculture markets. Only in Washington can banks be too big to fail, but farms too big to succeed. USDA and FDA worry about unsafe things like the microbials that cause foodborne illness. Meanwhile, consumers cross-contaminate bacteria at a furious rate in their kitchens while worrying about the ag chemicals that USDA and FDA have studied intently and approved as safe. Some of you may have noticed the lunch menu says sourced from small and local. Everyone knows small and local is better right? Isn’t that why they are exempt from any of the best practice requirements of the Food Safety Modernization Act?! Enjoy lunch! Meanwhile, Gary conveys his message using striking photography and informative graphs. Audiences are engaged to participate via an electronic response tool as well as some more conventional techniques. In the YouTube era, Gary knows that audiences want knowledge, but they also want to be entertained, and visuals are now key. Dave Juday is a Senior Analyst with World Perspectives, Inc., and the founder and principal of The Juday Group. 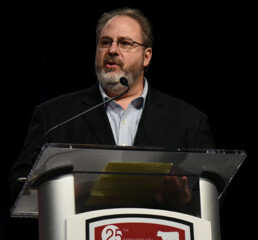 A frequent speaker at industry trade conferences and events, recent presentations include the annual meetings of the National Cattlemen’s Beef Association, U.S. Poultry and Egg Export Council, and the National Oilseed Processors Association, as well as the Council of State Government’s Midwestern Legislators’ Conference and the National Association of Farm Broadcasters Washington Watch meeting. Corporate engagements include Performance Food Group’s Protein Summit in Washington, D.C. and Inocucor’s strategic planning meeting in Montreal, Quebec. In addition to speaking across North America, Mr. Juday has also presented to groups and conferences in Asia, Europe, and South America. An economist and entrepreneur, Mr. Juday is an experienced hand in federal policy making, having worked on Capitol Hill and as an aide in the White House; he’s also a seasoned veteran of several business ventures launching new technologies in agriculture. Juday has been involved in every Presidential election since 1988 and every farm bill since 1985. Prior to the 1996 farm bill, Juday’s op-ed “Contract with Rural America” was published by the Wall Street Journal. More recently, his writing has been published by the Financial Times, Detroit News, Baltimore Sun, Washington Times, Des Moines Register, National Review, and The Weekly Standard. Mike Krueger is a Senior Analyst with World Perspectives, Inc. He also founded and managed two marketing companies that managed grain marketing for farm clients and is a licensed commodity broker. Mr. Krueger has circled the globe speaking about U.S. and world grain markets, how the U.S. grain marketing and transportation system works, and numerous other topics of interest to farmers, the commercial agriculture sector and other industry stakeholders. He was the keynote speaker at the Spokane, WA Ag Expo in February 2018. Other speaking engagements over the past two years include a BNP Paribas conference in Geneva, Switzerland, the Caribbean Millers convention in St. Lucia, the annual meeting of the Wild Bird Food Association in Texas, and a U.S. Wheat Associates-sponsored north Asia buyer’s conference in Guam. He has spoken at industry meetings throughout Asia, Australia, the Middle East, South America and southern and western Africa. An accomplished speaker, Mr. Krueger has also been a contributing writer to several industry and trade publications, including Wheat Life and the National Sunflower Association. John C. Baize is a Senior Analyst for World Perspectives, Inc. and President of John C. Baize and Associates, an international agricultural trade and policy consulting firm specializing in the oilseeds sector. 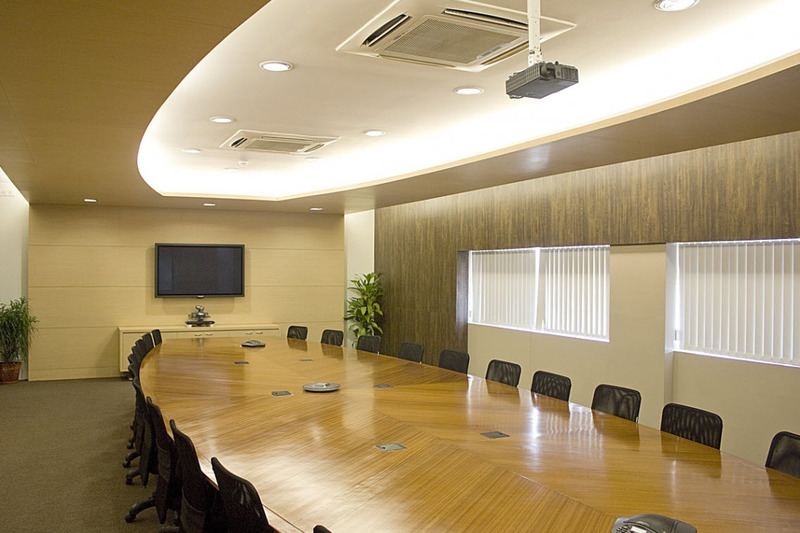 His clients include international agribusiness firms, agricultural trade associations, and investment firms. He has been a featured speaker at, chaired and participated in international conferences on oilseeds and oilseed products in Europe, Asia, and Latin America, traveling and speaking extensively on behalf of U.S. agricultural interests. Mr. Baize has served as Chairman of the USDA/USTR Agricultural Technical Advisory Committee for trade in oilseeds and oilseed products. He was actively involved on behalf of U.S. oilseed organizations and companies in the Uruguay Round of multilateral trade negotiations and the negotiations leading up to the establishment of the North American Free Trade Agreement (NAFTA). 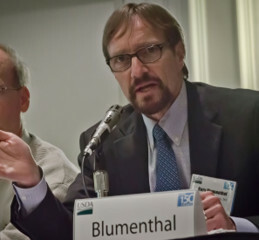 He has served as an advisor to the American Soybean Association and United Soybean Board. Further, he has served as Chairman of the USDA/USTR Agricultural Technical Advisory Committee for trade in oilseeds and oilseed products. 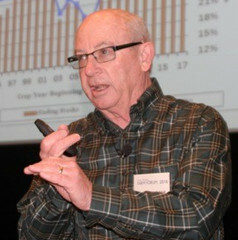 Prior to establishing his own firm in 1989, Baize served as a Staff Vice President in the American Soybean Association's Washington Office, as a member of the staff of the Office of the U.S. Trade Representative (USTR), and as a staffer on the U.S. House of Representatives Committee on Agriculture. 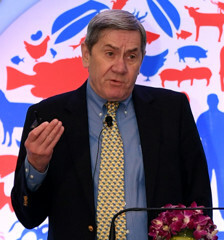 David Gregg, Consulting Projects Manager for World Perspectives, Inc., has managed over 70 successful consulting engagements for WPI since 2012 on behalf of over 30 agri-food industry clients – including the U.S. Grains Council, U.S. Meat Export Federation, USA Poultry and Egg Export Council, and several blue chip private sector firms. Mr. Gregg’s current responsibilities include delivering insights from WPI’s work to audiences large and small; his most recent speaking opportunity came at the NCBA’s annual convention in Phoenix, AZ. Mr. Gregg joined WPI after graduating from Georgetown University with a master’s in business, economics, and international affairs. Mr. Gregg’s portfolio of work includes evaluations of U.S. agricultural export promotion programs, global strategic planning initiatives for U.S. grain, oilseed, livestock and biofuel clients, and performance measurement and return-on-investment analysis for industry stakeholders. In addition to his consulting experience, Mr. Gregg brings on-the-ground production agriculture perspective to each client engagement. 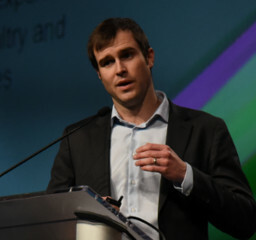 Matt Herrington, Director of Commodity Analysis and Client Development, manages WPI’s international team of analysts and oversees the company’s suite of information products. In this role, he works with WPI’s analysts to assess global commodity markets and generate insightful reports and publications. Mr. Herrington also directs WPI’s client development and supports the consulting division. Prior to joining WPI, Mr. Herrington worked as a Commodity Research and Product Development Manager for the CME Group in Chicago, IL and as a consultant for Informa Economics IEG in Washington, DC. 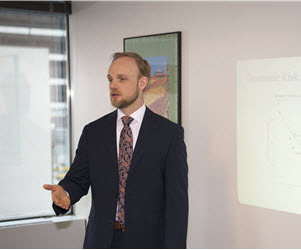 In these roles, he conducted extensive research on livestock markets and their futures and options contracts, managed economic impact consulting projects, and gave client presentations on topics from livestock risk management to technology in agriculture.